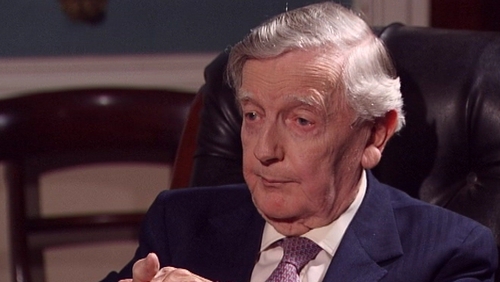 President Mary McAleese and Taoiseach Enda Kenny have led tributes to former President of the High Court and former Fine Gael TD, Declan Costello, who died this morning after a long illness. Mr Costello, who was 85, was best known for developing Fine Gael's 'Just Society' policy in the mid 1960s. A son of the fomer Taoiseach, John A Costello, he served as Attorney General from 1973 to 1977. He was appointed to the High Court towards the end of that government’s period in office. He later served as President of the High Court. President McAleese described Mr Costello as a public servant of immense intellect, integrity and social compassion, while Mr Kenny said he had served his country with great distinction.